Brooks: "No child should be shamed because his family is unable to afford a school lunch." NYS Senator John E. Brooks. Photo by: Office of Senator John E. Brooks. 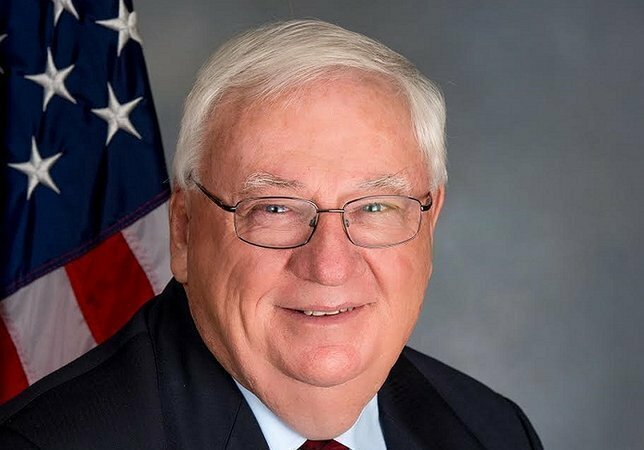 Long Island, NY - March 30, 2018 - Following the passage of the Education, Labor and Family Assistance budget bill (S.7506-B), Senator John Brooks praised the inclusion of language that require schools to adopt policies to prevent “lunch shaming” and establishes policies regarding unpaid meal charges. Brooks introduced a similar bill (S6036) in May 2017 that would ban ‘lunch shaming’ – policies and procedures that single out students as being in need of free school lunches or delinquent in paying for lunch. Brooks’ legislation intended to end the practice of stigmatizing children in school who do not have lunch money, or whose parents are behind on making payments, by ensuring schools implement fair and consistent policies. The bill would further protect students by ensuring that identification of students who do not have sufficient funds is minimal, including prohibiting providing those students with alternate meals. Subject: LongIsland.com - Your Name sent you Article details of "Senator Brooks Praises Passage Of Lunch Shaming Ban In State Budget"